Police say Cooper's mother also did a search on hot-car deaths before he died after being left in his father's SUV. Obama wants $2 billion to deal with a border crisis. The VA may be getting a new CEO. And in Iraq, the challenges pile on. Obama wants billions: President Barack Obama will ask Congress today for emergency funds, possibly more than $2 billion, as the United States grapples with a surge of undocumented children crossing the Mexican border. The money will secure space for the detention of children and help stop the tide of immigrants, a White House official says. Surprising pick: President Obama is hoping a former corporate CEO can fix a troubled health agency. He plans to nominate Bob McDonald, the former CEO of Procter & Gamble, to head the Department of Veterans Affairs. If approved, he'll take over an agency making headlines for allegations of mismanagement and cover-ups of long patient waiting times. Next challenge: The Supreme Court rules today on a politically charged Obamacare appeal involving a requirement that certain for-profit businesses provide contraceptive coverage to their employees. Can those employers avoid the requirement if they object on moral or religious grounds? That's just one of the questions justices have weighed over several months. Mother also did Web search: The mother of a Georgia toddler who died in a hot car admitted to police that like her husband, she also researched such deaths and how they occur. Her husband, Justin Ross Harris, the child's father, is in jail without bond. 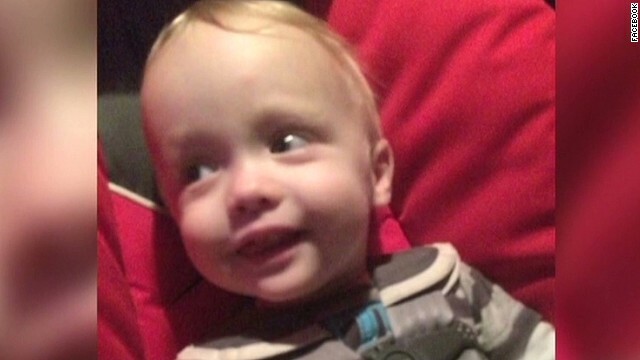 Leanna Harris hasn't been charged in the death of 22-month-old Cooper, who died after he was left in the back of an SUV by his father earlier this month, police say. Surging chaos: The Iraqi government is touting its military offensive to recapture former Iraqi leader Saddam Hussein's hometown of Tikrit. But residents there tell a different story. Meanwhile, the ISIS extremist group battling government forces announced it is no longer the Islamic State in Iraq and Syria. Just the "Islamic State." World Cup madness: Is it possible to get too excited when your team wins? Well yes, yes it is. Looking at you, Costa Rica fan. Gift of garb: We know you've spent a lot of sleepless nights wondering how to put on skinny jeans without using your hands. Wonder no more. You're welcome. Patient horse: Tiny goats use a horse's back as a playground. This horse could teach us a thing or two about letting things roll off your back. Awesome daddy/daughter duet: This dad and his daughter offer their version of "Let it Go." Give them a record deal, already! This is no scaredy-cat: Timo the cat teaches us one thing: If you don't succeed at first, keep trying.